A Gunnison man born in Colorado was picked up by immigration officers after a court appearance and illegally detained in immigration detention centers across the state for days, according to two newly-filed federal lawsuits. Bernardo Medina, 22, is Hispanic and was born in Montrose in May 1994. He and his parents moved to Mexico before his first birthday, which is where he spent much of his early life. But Medina moved back to the Western Slope when he was 18, settling in Gunnison. On Jan. 27, 2015, he went to the Gunnison County Court for a sentencing hearing on a DUI guilty plea. Afterward, he was approached by two men later identified as U.S. Immigration and Customs Enforcement (ICE) agents. When they asked who he was, he produced his Colorado ID showing he was indeed Bernardo Medina. What happened over the next three days still remains largely unclear, even to the Crested Butte lawyer who filed the lawsuits, who described Medina’s ordeal as a “nightmare” in court filings. The attorney, Andy Richmond, filed the two suits in late January in U.S. District Court of Colorado. One of them names the GEO Group, which operates the Aurora ICE facility where Medina eventually ended up after being taken across the state to various facilities. 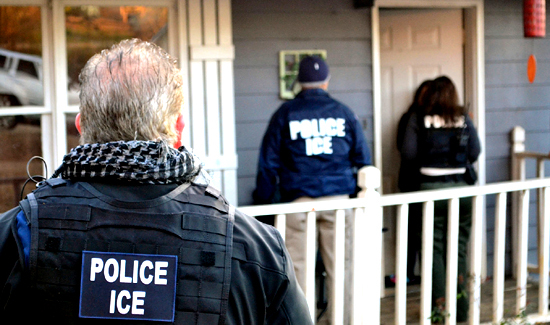 The other was filed against at least nine ICE agents who either detained Medina in the first place or took part in his continued detainment, despite what Richmond says were Medina’s continued attempts to tell them he was a U.S. citizen. Both suits were discovered by Denver7 in a federal court database while doing research for another story in late February.